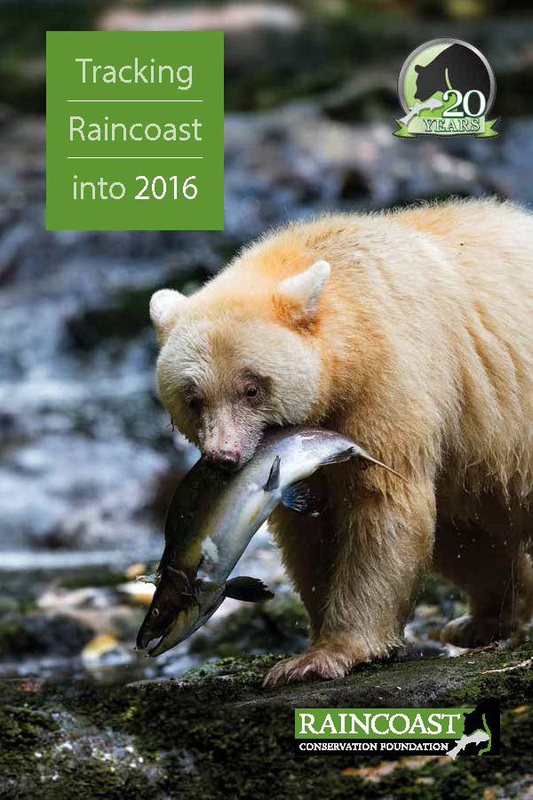 Over the past two dec ades, Raincoast has delivered on our mission to protect the land, waters, and wildlife of coastal British Columbia. We have produced more than a hundred peer-reviewed journal articles and dozens of reports, which we use to hold government and industry accountable, influence policy, and argue precedent setting legal victories. Our documentaries, popular articles, widespread media coverage, and community events have informed millions in Canada and around the world. This awareness has inspired tangible conservation progress for killer whales, salmon, wolves, grizzly bears, and all of the wildlife that help define Canada’s Pacific Coast. This holiday season, while celebrating these achievements, we ask you to reflect on the wildlife that need our help, and put your gratitude and concern into action for three iconic species: the grizzly bear, the wolf, and the killer whale. Please take action by making a donation today.